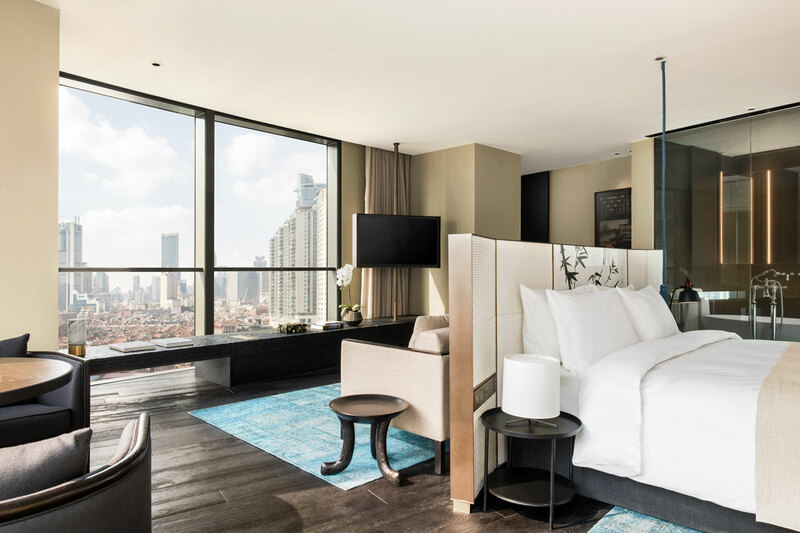 Swire Hotels’ 4th House Hotel “The Middle House“, jointly by Swire Properties and HKR International, is a key component of the mixed-use development HKRI Taikoo Hui. It is scheduled to open in April 2018. The name ‘The Middle House’ suggests a close connection to the other hotels within The House Collective, each having a strong design collaboration and intent. The use of ‘Middle’ is a nod to the hotel’s location – Dazhongli (大中里), one of Shanghai’s historic neighbourhoods. 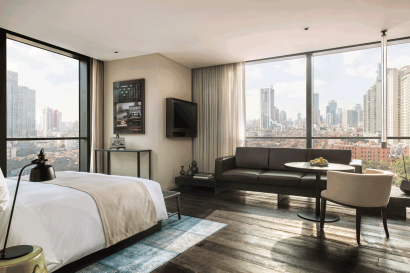 660 sqm Penthouse on the top floor features both indoor and outdoor spaces, with expansive terraces, an open kitchen, and 2 guest rooms. THE LAB MI XUN SPA curates a choice of premium lifestyle brands offering an exclusive portfolio of products and treatments in one location. Indoor swimming pool, gym and wellness studio are included as well. 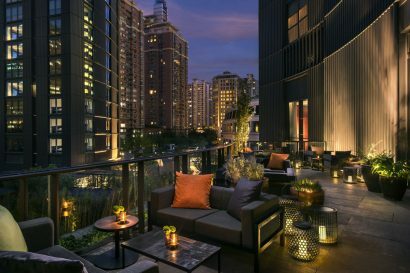 The Middle House is in the heart of Shanghai’s popular commercial district Jing’an, in the historic neighbourhood of Dazhongli. Set just off the fashionable Nanjing West Road, in close proximity to People’s Square and not far from The Bund, offering many nearby attractions to explore. 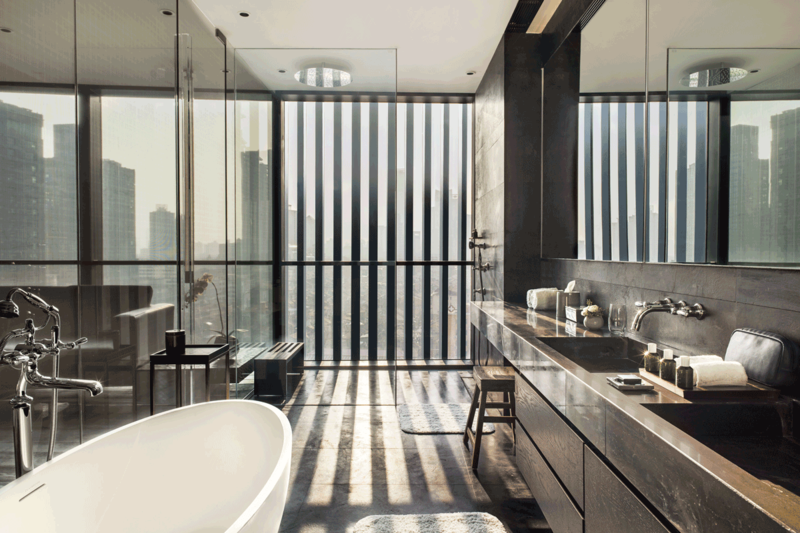 Located at 789 Nanjing Road (West), this 322,000-square-metre complex includes a lifestyle shopping mall, two premium Grade A office towers, three boutique hotels and serviced apartments. It boasts a host of ‘firsts’ for Shanghai, with the largest Tesla store in the city, the biggest CitySuper in the Mainland and a Starbucks Roastery & Tasting Room, the largest in the world. The unique beauty corridor people houses more than 20 beauty brands. It is home to a diverse range of dining, with 45 eateries offering more than 13 types of international cuisine. 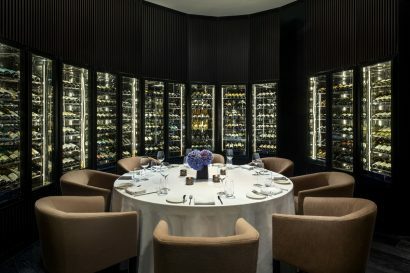 CINKER PICTURES, a cinema house offering a unique movie experience with gourmet food and wine, is also making its debut in Shanghai. 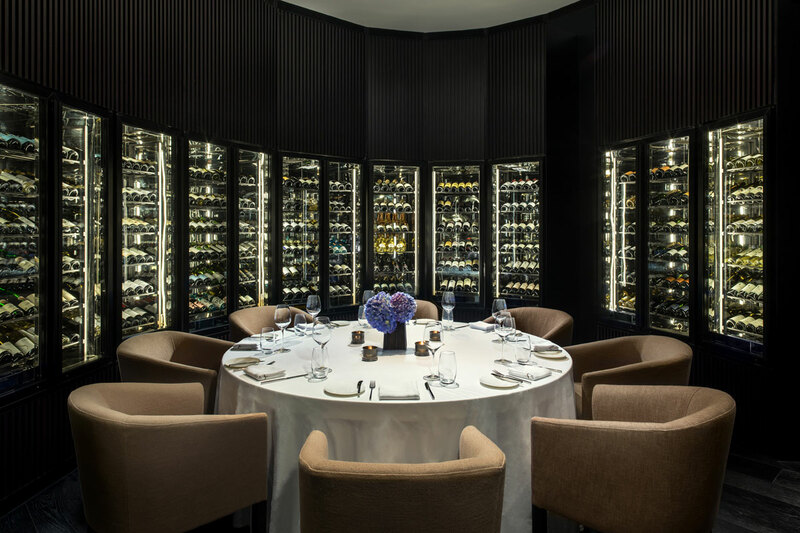 The space is best for dinner parties, celebrations, corporate meetings, product launches and beyond. Cafe Gray Deluxe – Contemporary European Cafe – Headed by celebrated New York-based chef Gray Kunz and showcasing seasonal ingredients, it’s the perfect spot to grab breakfast, lunch or dinner. 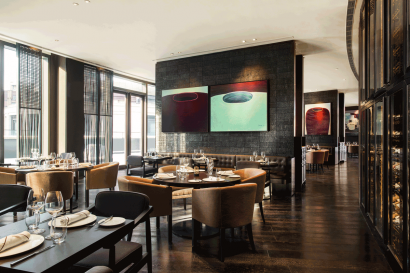 In between meals, enjoy a light bite in the bar and lounge, or a sunset cocktail on the spacious terrace. 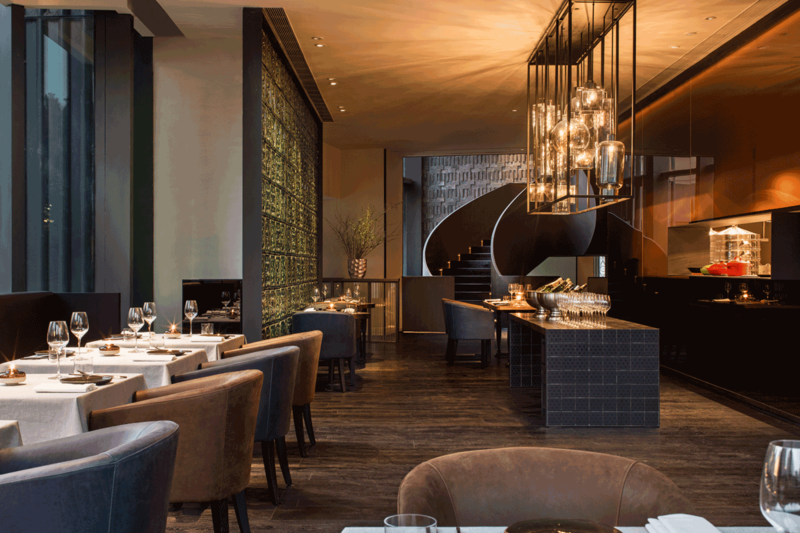 Frasca – Modern Italian Eatery – Say buon appetito over modern Italian fare, with ingredients sourced locally with the utmost care or imported from the finest appellations in Italy. Gather friends and family together for fun, casual affair in the sun-lit space and accompany your meal with a curated selection of Italian vintages from our wine cellar, or sip an apertivo al fresco amidst the seasonal blooms and greenery on our garden terrace. Sui Tang Li – Contemporary Chinese restaurant – With a name inspired by the meaning happy, free and relaxed, Sui Tang Li’s dishes are ideal for sharing and presented in style. 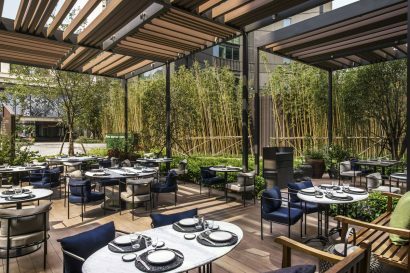 The menu is composed of creative and contemporary Chinese dishes, influence by Chinese traditional cuisines: Shanghainese, Sichuan and Cantonese. Relax and unwind with a stress-relieving workout or a soothing massage. 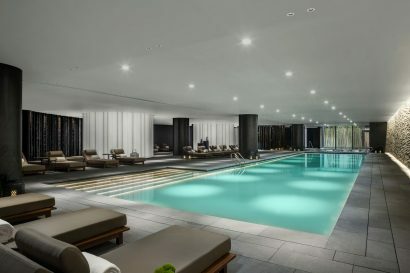 Visit the indoor heated swimming pool and state-of-the-art, 24-hour gym facilities, complete with a HYPOXI room and wellness studio classes – where you can centre yourself with sessions like group yoga with lululemon – or release your stress and rebalance your energy with our signature and tailored spa treatments. We have a team of event planners on hand should you need somewhere to host anything from an intimate gathering to a press preview. 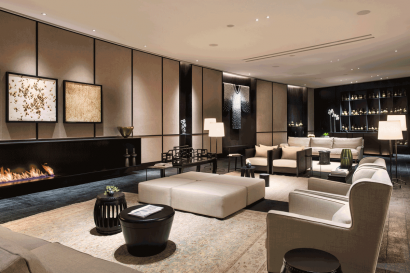 Our top-floor penthouse overlooking Nanjing West Road can be tailored to accommodate every need – dinner parties, celebrations, corporate meetings, product launches and beyond. 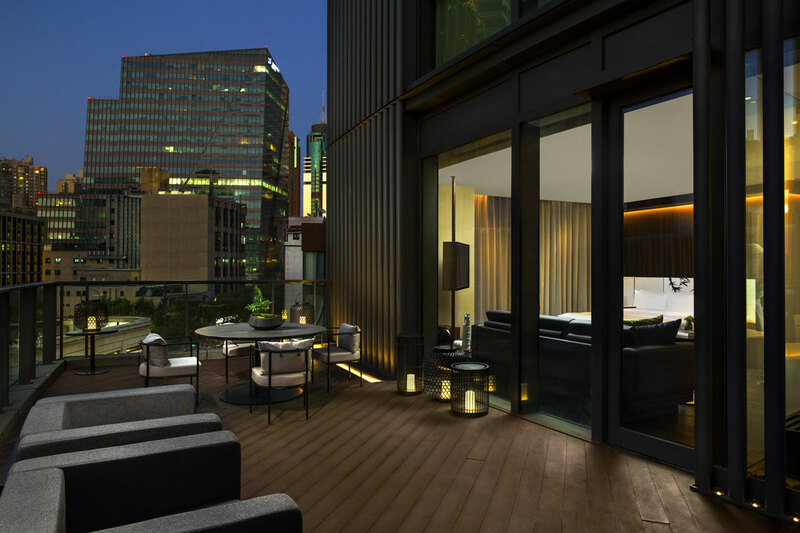 At 660 sqm, the spacious penthouse features both outdoor and indoor spaces, with an expansive terrace and a 208 sqm room which can be converted into two smaller ones for event use. The Lab at MI XUN Spa offers an exclusive portfolio of products and treatments all in one prime location. 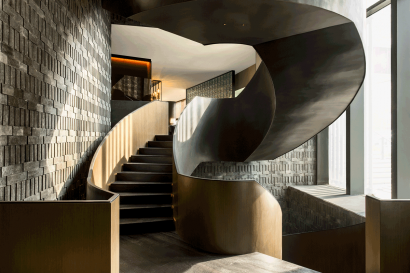 The new boutique Cha Ling embraces the very best of art of beauty “à la française” while honouring ancestral Chinese practices and knowledge to offer a unique spa experience and a moment of intense relaxation and pampering. Get a ColorMAD manicure or a makeup touch-up from Make Up For Ever, before browsing in our boutique offering the brands’ nail polish and cosmetics alongside swimsuits from local eco swimware company FINCH and yoga activewear from lululemon.